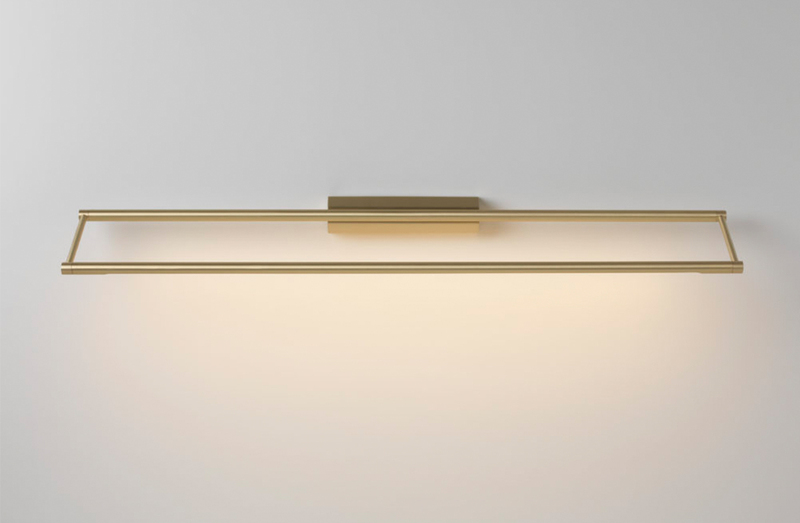 Open frame linear brass sconce can be mounted vertically or horizontally. Available to order in a choice of 5 sizes and numerous finishes. LED lamping, UL listed.